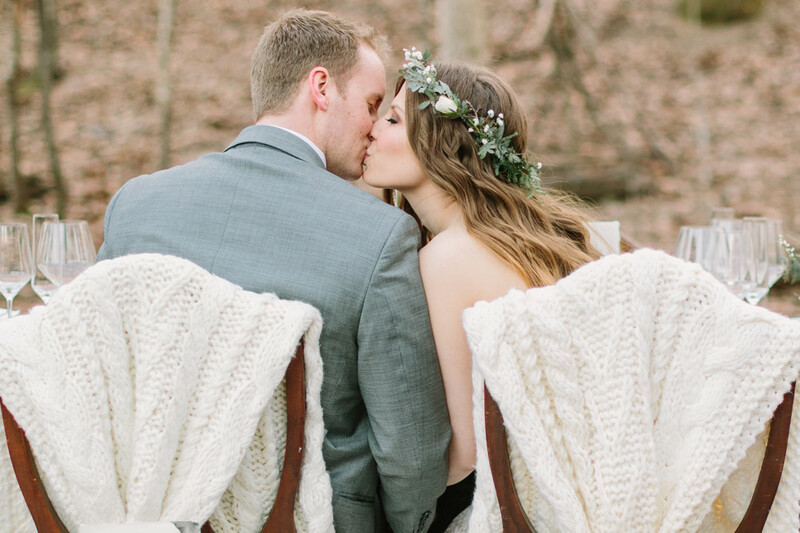 Natural State brides, you are one lucky bunch! 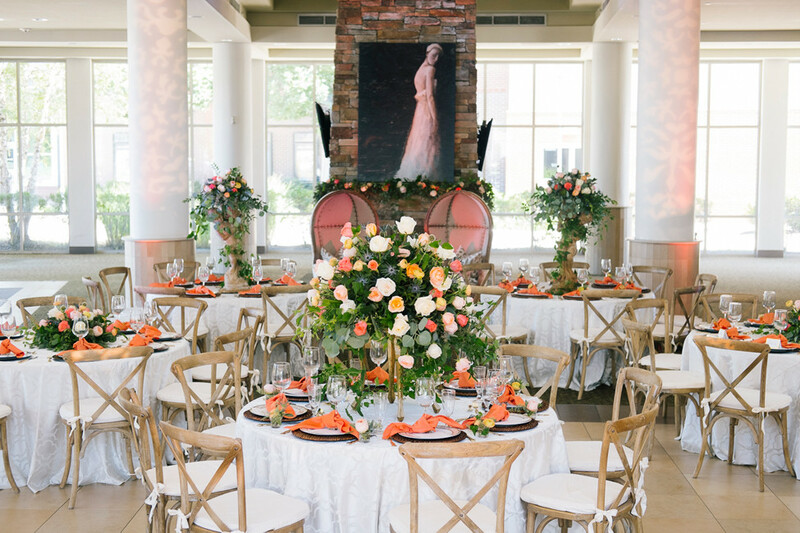 That's why we are delighted to introduce to you the wedding basics and Arkansas staples you'll need when planning, as well as introduce you to Arkansas’ newest pros. This past season, a new crop of wedding professionals, venues, trends and styles blew into town. Arkansas may be small, but the wedding talent here is big. Powerhouse vendors with decades of experience work alongside newcomers already teeming with know-how. 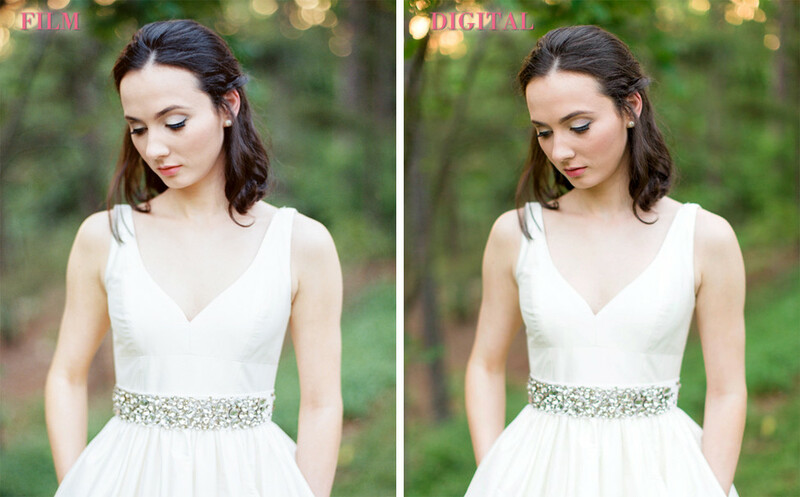 Natural State brides, you are one lucky bunch! That's why we are delighted to introduce to you the wedding basics and Arkansas staples you'll need when planning, as well as introduce you to Arkansas’ newest pros. Now, let us take you from A to Z, so that your "Is" and your "Dos" will be totally amazing. Keep an eye out for the A-Z icon on the left. When you see it, look for links that will take you to an expanded version of that letter! Centrina Washington creates some of the most over-the-top, incredible ceremony decor in the state. 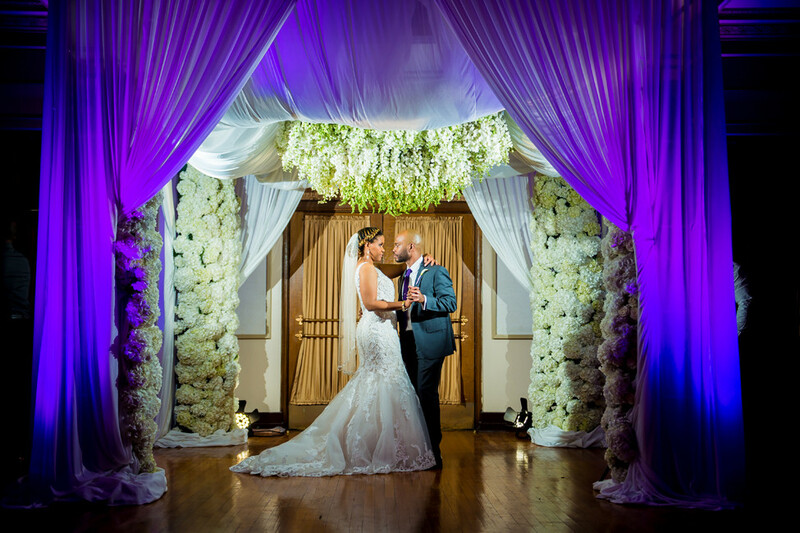 Her aisle designs — from floral entryways and arches to unique drapery and runner ideas — are a treat for the eyes. Two relatively new barn venues in Arkansas are Royal Ridge (left) and The Barn at Sleepy Hollow. • The Silos, Bono — This is the top searched wedding venue on our website, and with great reason. It’s a gorgeous wedding venue that’s been popular for years. • Pratt Place Inn & Barn, Fayetteville — Recognized by Martha Stewart Weddings as the premiere wedding venue in Arkansas, Pratt Place Barn is a wedding staple in the Natural State. • The Barn at Twin Oaks Ranch, Dardanelle — The Barn at Twin Oaks Ranch is nestled on over 35 acres of farmland, complete with a 4,200 square-foot-barn and separate ceremony area. • The Barn at Sleepy Hollow, Clarksville — The Barn at Sleepy Hollow features a rustic barn, with top of the line decor that can be customized to suit a wide variety of tastes. Betsy Burgess of Anchor Port Studio talked to Arkansas Bride about the latest trends and styles which she sees in her monthly calligraphy workshops in this expanded version of "C is for Calligraphy". We asked jewelry expert Ben Blakeman, G.G., of Blakeman's Fine Jewelry in Rogers to explain some basics and reveal what’s trending in diamonds. What are the 4 Cs—which is the most important? Color, cut, clarity and carat weight determine the 4 C’s. In our opinion, the cut is always the most important. The cut determines the light performance of the diamond and we require our diamonds to SCREAM! Top selling stone shape? Oval and round cut continue to be the most popular shapes this year. Many customers like the elongated shape of the oval on their finger. Most popular metal color? The great thing about metals in the jewelry world right now is that anything goes. What exactly is a "fancy cut?" The trend ‘fancy cut’ is pretty simple actually, it's any shape of diamond that is not round. We couldn’t help it. 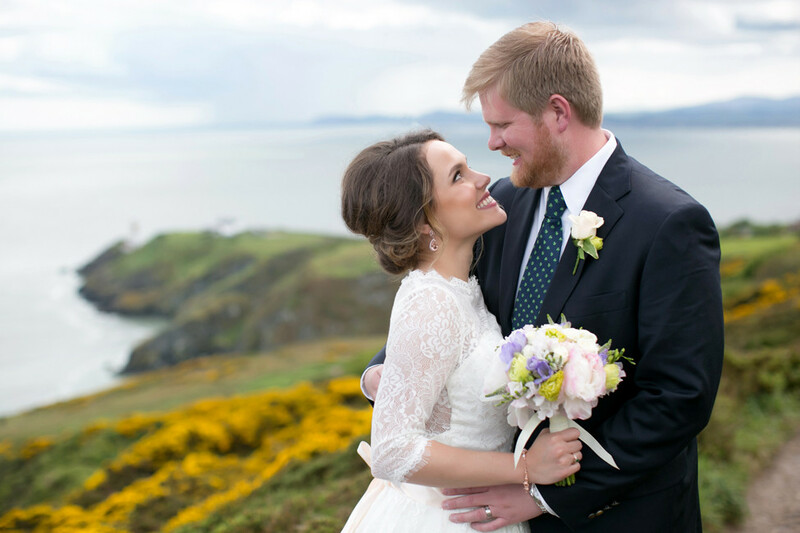 This gorgeous photo of Little Rock couple Katie Howard and Jody Smith’s elopement in Dublin, Ireland was too beautiful not to share. The couple jetted overseas for a private ceremony in the picturesque Irish countryside. Upon returning home, the newlyweds hosted a relaxed reception at Allsopp Park. But the Smith’s aren’t the only ones running off to say “I do,” elopements and private ceremonies are trending across the country, so much so that some wedding professionals have even begun creating elopement packages. And Arkansas is right in the mix. One of the hottest trends in wedding photography is actually quite retro. Remember when cameras actually used rolls of film? Well, it's back, and Arkansas photographers are loving it. Take for instance, Drew Cason Photography. Drew has experience at both digital and film. We couldn’t help but pick Drew Cason's brain in this expanded version of "F is for Film Photography". Once your wedding day ends, you’re going to want to get that beautiful dress cleaned and preserved. Gown preservation is a process that includes cleaning and packaging techniques to ensure your gown retains its beauty. 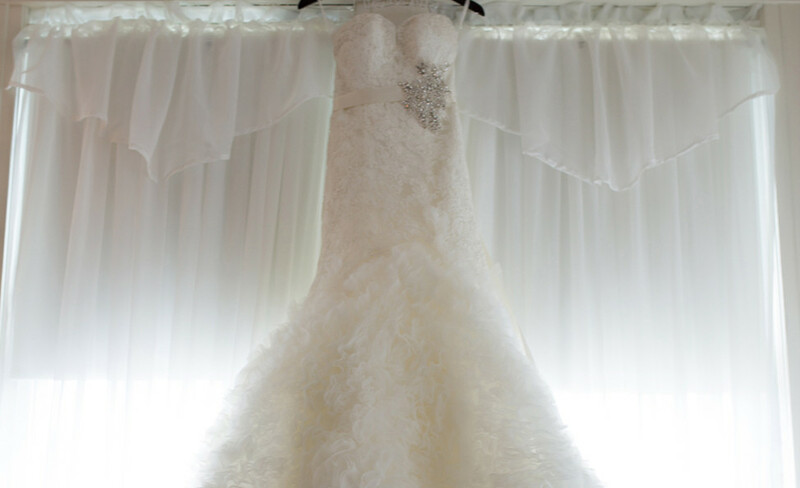 A professional preservationist will survey your gown, then formulate a specialized cleaning procedure. Many Arkansas bridal boutiques use the Wedding Gown Preservation Co., Based out of Endicott, New York as their preservation company of choice. The Wedding Gown Preservation Co. has been preserving gowns since 1913. The company boasts cleaning that is 100 percent organic and guarantees the dress from oxidizing for 100 years. The service costs around $200 and you can expect your gown back in about 3-10 weeks. Check with your bridal boutique, because many offer discounts on preserving gowns bought in-store. To streamline the process, there is a bevvy of bridal boutiques on our online vendor page to help you get the job done. Floral crown or princess tiara, whatever you’re considering, be sure it’s something you’re going to love 10 years from now. They’re trendy, sure, but we want you to look like YOU on your wedding day, not like 1,000 other Pinterest brides. Learn more about what's our take on this trend and what you can use to accessorize in the expanded version of "H is for Hair Accessories". Inverness Bridal Couture in Conway may be the new kid on the block when it comes to bridal boutiques, but they carry heavy-hitter lines like Blush by Hayley Paige sure to tempt any bride. Inverness exclusively carries Alvina Valenta (as seen in this issue's fashion spread), Ellis, Calla Blanche and Mon Cheri by Laine Berry. Find out how Leigh Middleton found the name for her bridal boutique in the expanded version of "I is for Inverness". Jason has been our go-to bridal fashion photographer for more than a decade. 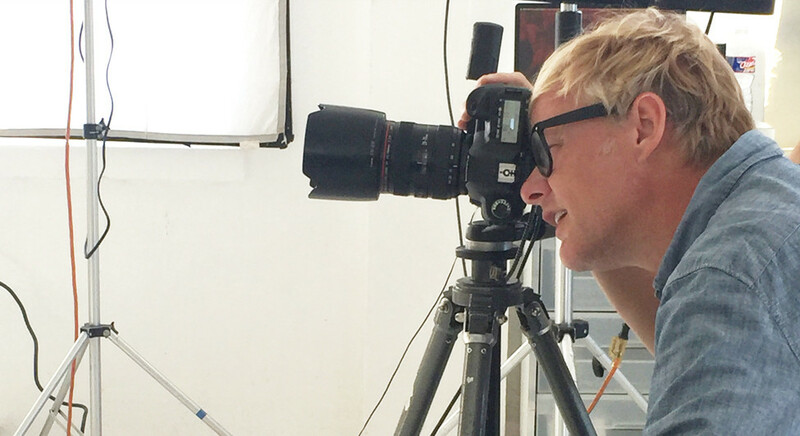 He shoots gowns not only for us but for designers across the country. He has seen his fair share of women in wedding dresses, so we wanted to know, what piece of advice would he give brides before their big day photo op. This new venue was thoughtfully designed by husband and wife photographer team, Nick and Samantha Daniels. Concrete was poured in March 2016 and they welcomed the first wedding on June 18. The vibe is an airy, rustic-but-chic, all-white wedding venue. The barn feel with a splash of modern flair—we’re smitten. Here's what we said about Kindred Barn last fall. We know you want to look your absolute best for your big day, which is why we talked with Natalie Sanderson at Lasercare Skin Clinic in Little Rock for her top recommendations for glowing, luminous wedding-day-ready skin. Laser Skin Rejuvenation - This gentle yet highly effective treatment reverses aging, tightens, tones, eliminates imperfections and stops acne and repairs scarring. We call this a win-win. SculpSure - This non-invasive 25 minute body contouring treatment, is a light-based system that destroys 24 percent of treated fat cells without surgery. SculpSure is ideal for those pesky trouble spots that seem resistant to diet and exercise. Red Carpet Facial - This luxury facial treatment features diamond microdermabrasion, oxygen therapy with exclusive stem cell products, micro-current with light therapy, and ends with an LED light therapy treatment. This painless procedure is anti-aging, minimizes fine lines and wrinkles, improves muscle toning, fights acne, hydrates, and calms the skin. Plus, there’s zero down time. We're often asked how married monograms work; especially the combinations that commonly cause confusion. What do you do if you hyphenate your last name? Find out in The Rules (Yes, Rules) of Monogramming. The process of changing your name is intimidating, not to mention complicated. For instance, you will NOT be able to get a new driver's license until your new social security card comes in. Then there’s your passport, bank accounts, car titles, etc. This process can’t be done all in one day, nor in a week. If it’s government issued, get ready for a big time hassle. Everyone is a little happier when they hear those magic words: “open bar.” They're not cheap, though. Clark Trim, owner of Colonial Wine & Spirits, shared eight insider tips on saving money while keeping spirits high in the expanded version "O is for Open Bar". Why are we talking about a mall? Because this popular dining and shopping destination in Rogers just debuted one of the largest and most modern wedding venues in the area. The perks include seating for up to 500 people, clean lines and both indoor and outdoor space. As if Queen Wilhelmina State Park Lodge wasn’t picture-perfect enough, the beautiful lodge dubbed “Castle in the Sky” recently underwent a $9.6 million renovation and expansion. Plus, the 2,681-foot elevation of Rich Mountain provides panoramic vistas to add to your memories making it a more than ideal venue for indoor or outdoor weddings. Queen Wilhelmina offers catering on site and a few venue options for those looking for a more intimate wedding. You will also have a choice of 40 guest rooms to complete the lodge package for you. Take advantage of this Arkansas State Park jewel for your big day. Wondering what’s all supposed to go down the night before the wedding? We got you, especially for you grooms. 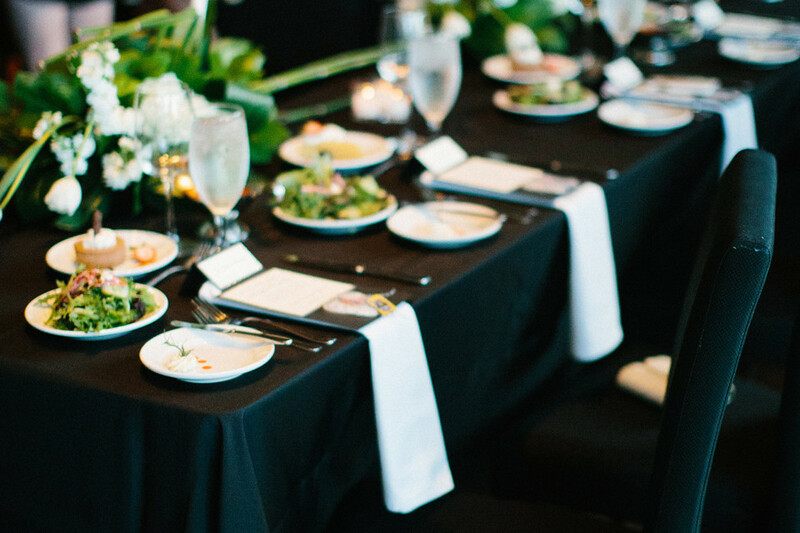 Here are our dos and don’ts for your rehearsal dinners. 1. You’ll tip hair and makeup professionals just as you would in a hair salon, 15-25 percent. 2. The officiant should be tipped $50-$100. 3. Gratuity is typically built into your reception contract, no extra needed. 4. For transportation, check your contract; 15-20 percent gratuity is usually included. 5. Create a tip jar for your bartenders, and be sure to feed it yourself at some point. Oh, but is it that easy? Of course not. Dig into some of the more subtle ways tipping can make a hectic day much smoother in the expanded version of "T is for Tipping". We're obsessed with the exquisite garters made by LaGartier (pictured). Each garter is handmade with luscious fabrics, vintage jeweled pieces, and Swarovski crystals. They're sold exclusively at Tesori in Fayetteville. These are hard to find in Arkansas. We did some digging and recommend Rob Haynie, who partners with Arkansas Destinations, to offer a 1939 Cadillac LaSalle and a 1940 Cadillac Fleetwood. For all the Northwest brides, High Society Rentals based in Fayetteville has a 1956 Ford Thunderbird that was recently featured in the Miss America Homecoming Parade with Savvy Shields. Alda’s Magnolia Hill in Little Rock and St. John’s Chapel By the Creek in Benton also offer a vintage getaway car for your exit if you decide to have your wedding or reception at their venue. W is for "Who Pays for What?" Keep in mind that today, it’s done a million different ways for a million different factors. See these nine things the groom’s side is primarily responsible for from our Groom's Guide. Outside of those nine things? Traditionally paid by the bride's side! Do not invite him or her to your wedding. That is all. We wanted the inside scoop on how to make the most of your floral budget, and who better to ask than Alan Hahn, owner of Conway’s beloved Ye Olde Daisy Shoppe. For almost 50 years, this family-owned florist has provided florals for thousands of weddings. 1. Choose flowers that are in season. 3. Repurpose ceremony flowers. “I recommend my brides use their bridesmaids bouquets as centerpieces, and any large altar arrangements, at the reception." It was a no-brainer for us to include Zoë Weddings as our "Z." Kim Boyd has led this division of Zoë Photographic Group for six years. Check out our conversation with Kim in the expanded version of "Z is for Zoë Weddings".